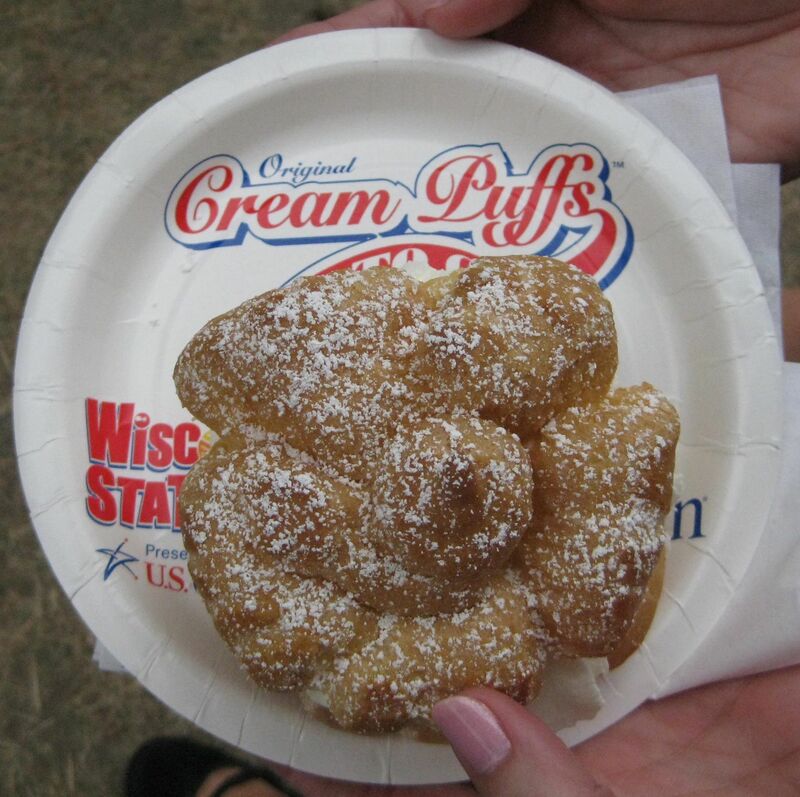 Wisconsin State Fair Cream Puff! For me, a trip to the state fair is not complete without a cream puff. 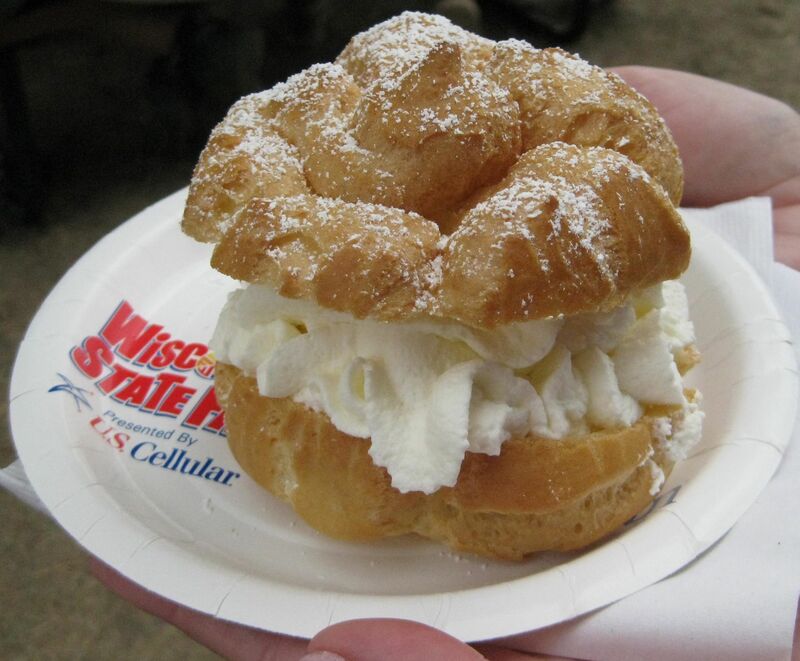 According to the state fair’s fun facts, they sold 338, 337 cream puffs last year. 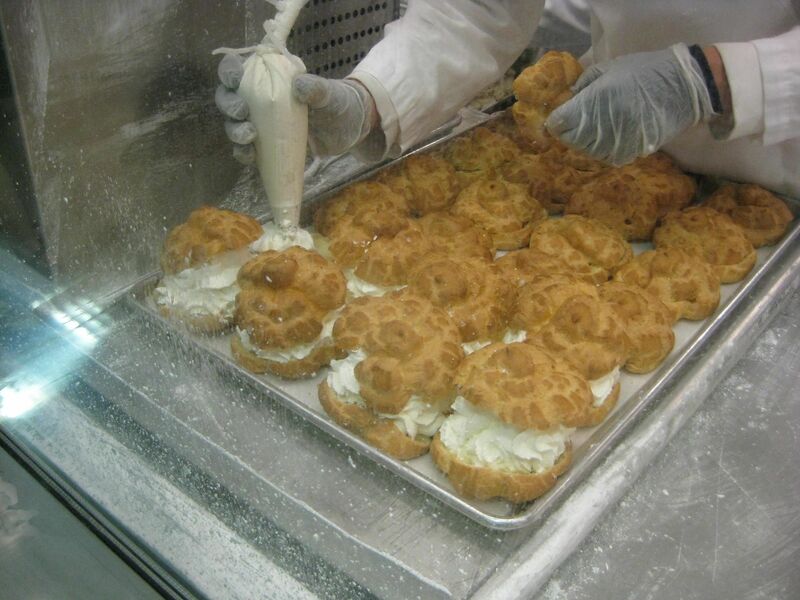 As you snake through the line, you can watch them filling tray after tray of cream puffs. I did not, however, eat a pickle in a cone. As much as I like pickles, this just wasn’t appealing. I also passed on the deep-fried candy bars and this year’s new item: deep-fried butter. I’ll stick with the classic cream puff any day! 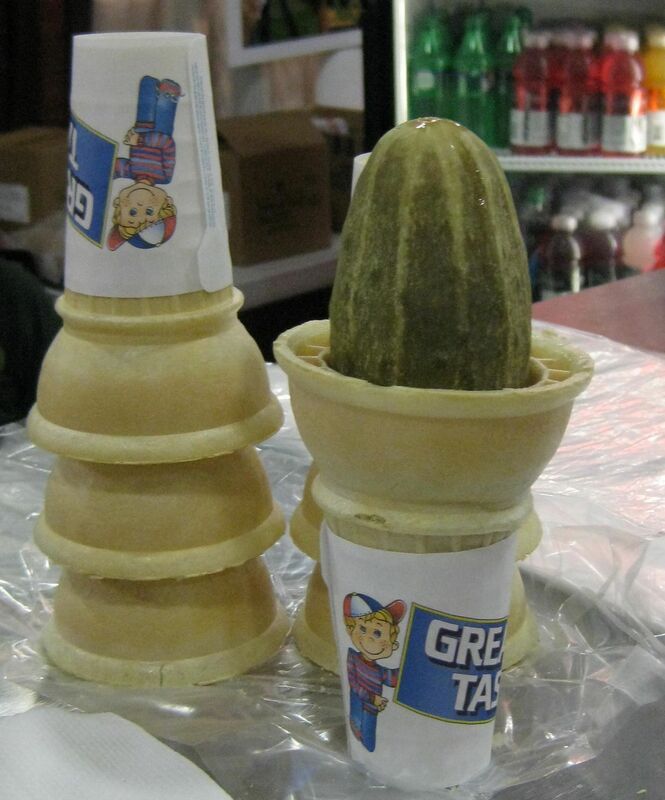 Bring on the pickle in a cone!! Oh yeah. That cream puff looks fantastic! Good choice. Molly S said the deep fried butter was a fail. Stick with the classics. Yum, that cream puff looks amazing! I don’t know if I’d be able to pass up a deep-fried candy bar, even thought I’m pretty certain more than one bite would make me feel gross. Those cream puffs look amazing!!! And a deep fried snickers bar is SOOO good! However, deep fried butter and a pickle in a cone sound gross!!! I’m so jealous! Cream puffs are my very favorite dessert ever. My mom used to make them. Deep fried butter sounds really disgusting and sort of deadly. Deep fried butter?!? Blech! But I’ll take one of those cream puffs, please!